Good price. What are these like?, well ok, how do they compare to say Felix? My cat can be quite fussy, although he’s been ok with Felix AGAIG for almost 2 years. 20% code showing for subscription. Can be cancelled after first purchase. Free delivery. 2% cashback with KidStart. Be careful, I signed up to a similar deal on Felix via Amazon and within two months they’d upped the price by a tenner. Great deal whilst it lasts though. 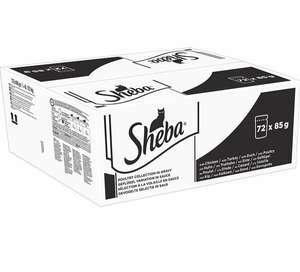 Thanks you so much for posting, my cats love Sheba. They had 5 so i got them. Will use the empty tins to store from one raider cat who can shred the pouches like paper. 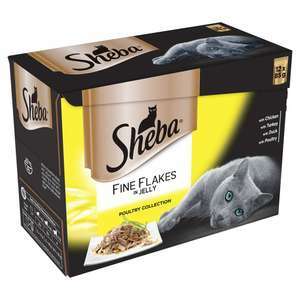 Tin of Sheba snacks for £1.99 One package is normally £2 So getting another 3 for free. Plus it comes in a nice little tin for other snacks. Lots in store at Tesco st Helens. Hi OP, Thanks for posting it. I just saw it I guess the HUKD'rs already for there hands on it. But I'll try it anyway in my stores in London. Which stores did you try it in. Others here as well have you tried it as well and were you successful. Oooo, would love to get some of these for my fussy fur baby. These were £8 in my local on New Year's Eve and that was in the clearance section! That's great, but i personally don't have a Costco and can't drive. So for me, this a good deal on subscribe and save.I appreciate the savings though if Costco is accessible. Fair enough. I have never noticed it before as my fussy cats will only ever eat Felix AGAIL. It is 12.00 in Tesco and not sure of other supermarkets. So for me, was a good saving. 17 left , can’t order as you need to buy 20. Apologies, somehow quoted the wrong person's comment, you quoted the comment that referenced Unilever and when replying via mobile (for some reason the formatting is all squiffy) I've grabbed your comment but not the one it was in response to (which didn't seem to show up as a separate quote). Had many a vet say to me that you never give your dog Dentastix unless it's a rare treat, they are so bad for them and fattening (despite the annoying advertising making it that it should some kind of 'daily health' product). I wouldn't eat a Mars Bar every day, why on earth would you expect your dog too! I haven't a clue what you're talking about. I never even mentioned Unilever? Ahh will get delivery refund if so, was a long shot and worth a go. I did a search before listing but didn't find it already posted....Doh! My cat doesn't like this soup but does love the Gourmet Soup, however although she drinks all the soup she leaves all the meat. It's a bit weird, not to mention very wasteful. Just back from Morrisons. 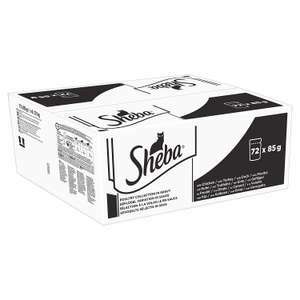 In store, packs of 4x40g is £1.50 These 4x40g packs were not included in the 7 for £3 deal. wow, how are these getting hot at that weigh, go figure!